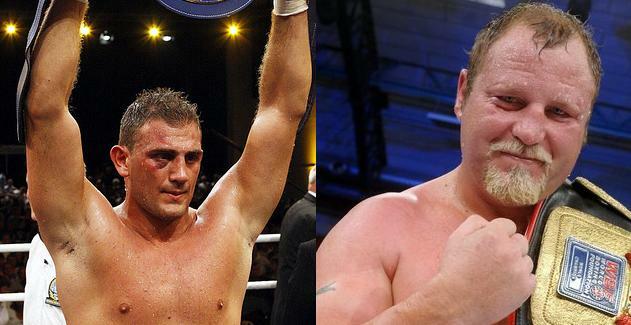 Unbeaten heavyweight Francesco Pianeta take on Francois Botha May 16 at the Brandenburg Hall in Frankfurt an der Oder, Germany, on a SES promotion. Pianeta vs Botha shapes up as an interesting matchup between a big talent who´s lost his way a little and a battle tested, worn warrior, who may have enough left to create an upset. Botha, 48-7-3, is of course well past his best and comes off a stoppage loss to Carlos Takam last time out. At the same time Pianeta, 25-0-1 and a big, strong, well schooled fighter, have shown a bad tendecny to lose his way during fights and he has a lot to prove before being taken for real in the heavyweight division. In the mainevent Susi "Killer Queen" Kentikian defends the WBA, WBO and WIBF flyweight titles against American Melissa McMorrow.